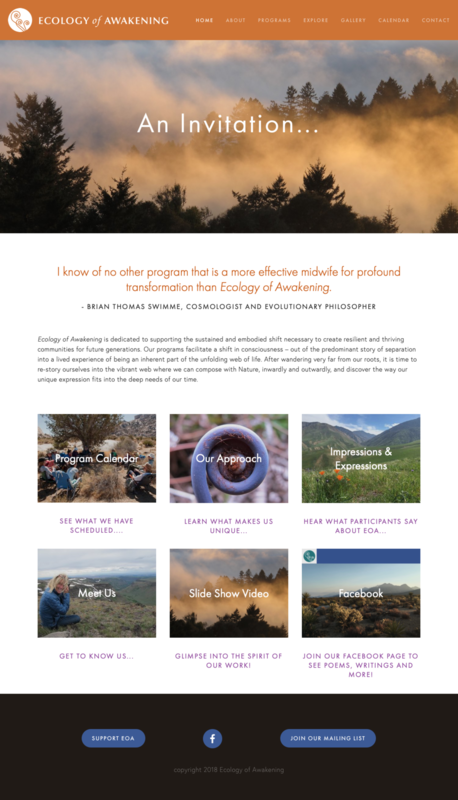 sevmedia has worked with Kerry Brady and Ecology of Awakening for years, developing a web site that offers deep insight into the nature-based retreats, resiliency workshops, vision fast journeys, and other programs that EOA offers to support an individual and collective shift in consciousness – out of the predominant story of separation and into a lived experience of being an inherent part of the unfolding web of life. In addition to creating the large web site, sevmedia was involved in photo editing, copy editing, as well as video production including the video “invitation” shown here. sevmedia set up Facebook page for EOA and designed their MailChimp newsletter. and consulted with EOA staff to determine the most efficient application and registration process flow.